viii+255 pages with diagrams and index. 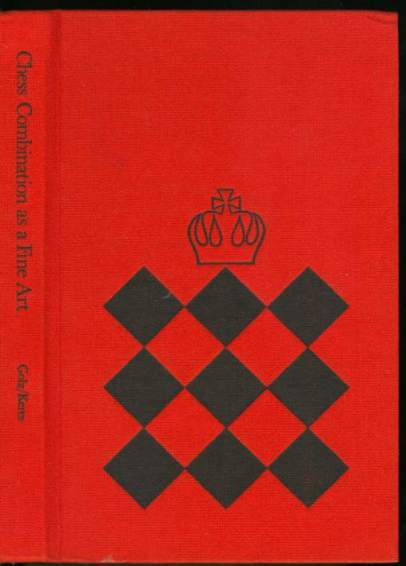 Small octavo (7 3/4" x 5") issued in red cloth with black letter print to spine and black decorative front cover. 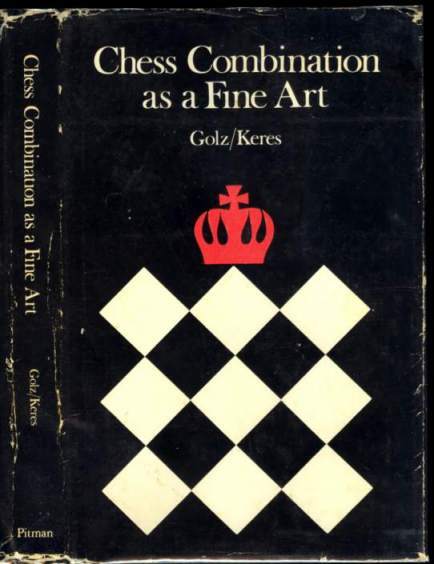 Selected and edited by Werner Golz with an introductory chapter by Paul Keres and a foreword to the English language edition by Harry Golombek. Translation by Leslie Franklin. 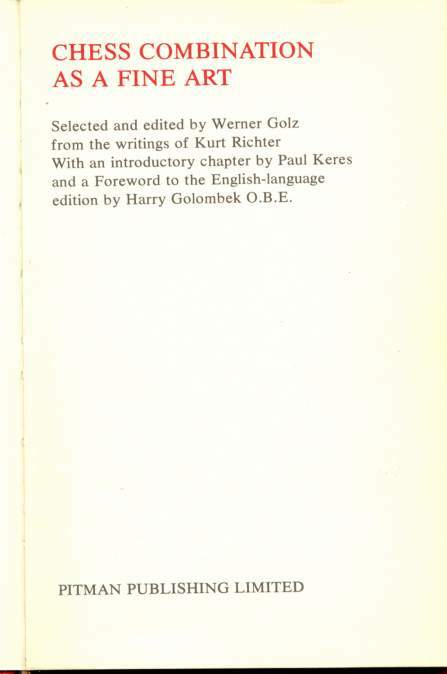 (Lusis: 1030) First English edition. Corners gently bumped. Dust jacket corners and spine ends chipped, fold over edges and hinges rubbed, edge wear with some closed tears and creases. A better than very good copy in about a very good jacket.